Copyright © 2017 BAUERMEDIA, All rights reserved. 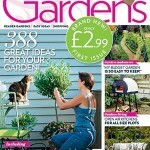 This weeks top offers from Great Magazines - happy promoting! 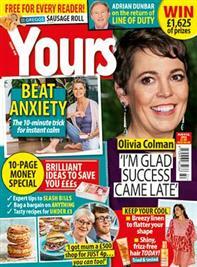 Subscribe to Yours magazine for just £1 an issue! 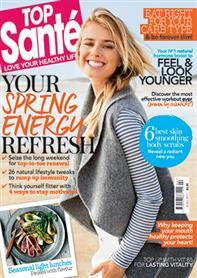 Every issue is packed full of fascinating stories, health news, celebrity interviews, puzzles, recipes and more. Get a YEAR of Empire for just £24.99! Each issue delves into the world of commercial and arthouse cinema to bring you film reviews, features and set reports. Great Magazines Christmas campaign is live and we have 100's of offers to choose from. We have offer dedicated for gift giving, gifted offers and lots more. Below are just some of our favourites. On top of these fantastic offers we are also offering all affiliates the opportunity to give their customers an extra 10% off! Customers just need to enter voucher code: JOYDIS10 at the checkout (voucher code is valid until the 20th November 2016). Happy Friday! 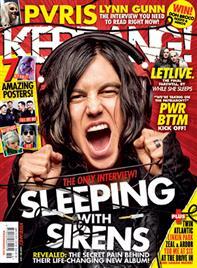 Here are the best promotions we have running on Great Magazines! On topof that don't forget we have a number of voucher codes for your to use as an additional incentive. The voucher codes are only valid until the 15th Sept 2016). · Voucher Codes: SAVING10 - 10% off all print, digital and package subscriptions over £20, GOLFER15 - 15% off Today's Golfer subscriptions, GRAZIA20 - 20% off Grazia subscriptions, HEATSAVE - 15% off Heat subscriptions, EMPIRE15 - 15% off Empire subscriptions...ENJOY! I have some great news! Live now, are some NEW voucher Codes. We have 1 that is site wide and 4 that are brand specific. They are only valid for a limited time(End date 15th Sept 2016). Visit our discount Vouchers page on the greatmagazines(970) Awin page for more details. This promotion is now live and will close on 10th August 2016. Empire magazine is the UK's most popular film magazine, each issue delves into the world of commercial and arthouse cinema to bring you film reviews, features and set reports. If you want the essential inside track on what's going on in Hollywood, an Empire magazine subscription is the one to buy. 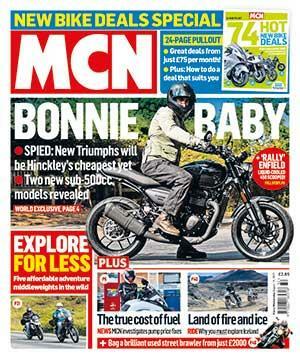 MCN brings you the best of biking every week. It’s the biggest motorcycle news media brand in the world and has been at the heart of motorcycling since the newspaper launched almost 60 years ago. 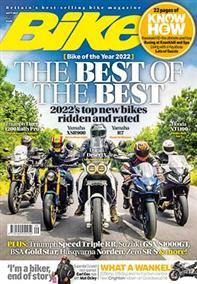 It continues today to deliver a constant feed of the best motorcycle news, reviews, world exclusives, first rides, road tests, sport, respected opinion and expert advice. 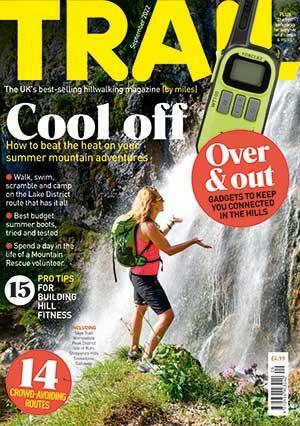 Trail magazine is your inspirational walking guide - full of routes, advice and reviews. Trail magazine brings the Spirit of Adventure to your home - bringing you everything you need to get out there; the routes, the gear and the advice. If you want to enjoy the mountains and hills it's easier than you think and we bring it to you every month. Please feel free to contact me directly if you have any further queries. Great Magazines has all types of magazine, for all types of customers. Here are just a few fantastic offers that you can use to earn some great commission. 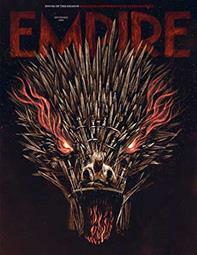 For those of you who are not aware, Great Magazines proudly publishes Empire magazine...THE WORLD'S BEST MOVIE MAGAZINE. Each month Empire delves into the world of commercial and arthouse cinema to bring you reviews, features and set reports. If you want the essential inside track on what's going on in Hollywood, this is the film magazine to buy. 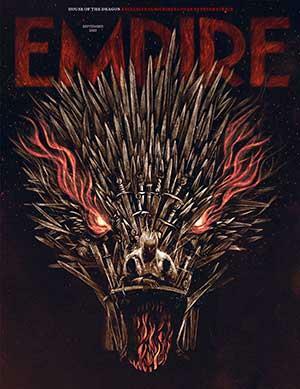 You can subscribe to the print or digital (or both) versions of Empire magazine at a significantly reduced rate. 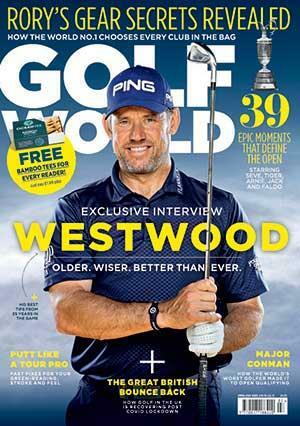 Great Magazines is celebrating the Masters - Golf magazines from £5! Here at Great Magazines we are celebrating the masters!!! 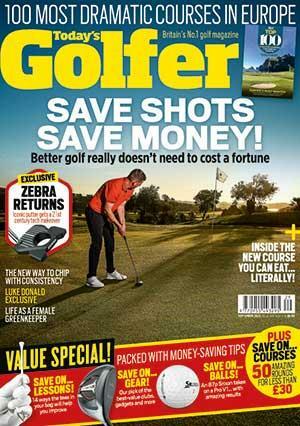 Today's Golfer is the magazine that gives you the tools to lower your score! Every issues is packed full of golf instruction, equipment & course reviews and much more. Golf World magazine features exclusive instruction from the best players and coaches in the world, interviews with all the biggest names on tour, profiles of the best places in the world to play golf, definitive course rankings and tests of the best equipment for you. Great Magazines are offering an additional 12% off all print and digital subscriptions. Simply use voucher code FABMUM12 AT THE CHECKOUT! Valid until Sunday 29th Feb 2016! Great Magazines have increased their commission rates from £8 to £8 on any orders over £8. Valid from: now until 30th December! Don't forget to use voucher code SANTA12% for an extra 12% off all print and digital magazines. Valid until Thursday 10th December! Ladies, offers not to be missed! Now is the perfect time for ladies to treat themselves, here are the best deals across our magazine subscriptions. From bargain prices, to gifted offers these deals are not to be missed! 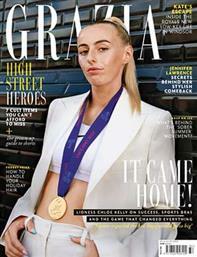 Grazia is Britain’s first, weekly glossy magazine for women bringing you the latest fashion, news, views (and shoes!) every week. Yours is the only age friendly magazine that celebrates nostalgia and encourages women to make the most of all aspects of life. Packed full of information, from fascinating stories, news, celebrity interviews, puzzles, recipes and more, Yours is both a trusted and entertaining read, that truly understands you. Just £13 every 6 months. 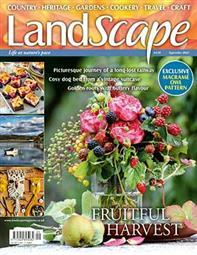 Every two months, LandScape Magazine celebrates the joy of the garden, simple seasonal recipes, traditional British crafts and the wonder of nature and the countryside. The magazine is a haven from the pressures of modern living; a chance to slow down and a reminder of the good things in life. This one is for the men out there, Great Magazines offers a fantastic range of magazines to suit every guy out there, from entertainment to sport and music; a variety to suit all age groups. So whether you'd like to treat yourself or someone else, look no further! A bible for movie fans of all ages, Empire magazine has access to all of the biggest names in the business and brings you the first look and the last word on all of the films that matter. From just £37 for an annual subscription. Each issue brings you the finest features, useful man skills and the sexiest ladies. On top of this, it’s packed full of stories on fashion, food, football, and lots of other stuff that makes you feel great to be a man. From just £33 for an annual subscription. 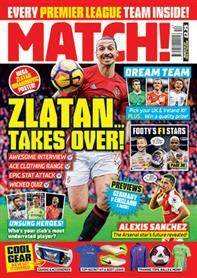 MATCH magazine gives you all the football news, interviews, gossip and stats every week, plus all the info on YOUR favourite team. From just £34 every 6 months. 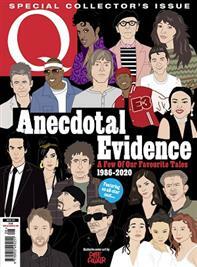 With world-beating exclusives, amazing photography and an inimitable sense of humour, Q magazine tells the stories behind the music that matters. From just £30 for an annual subscription. 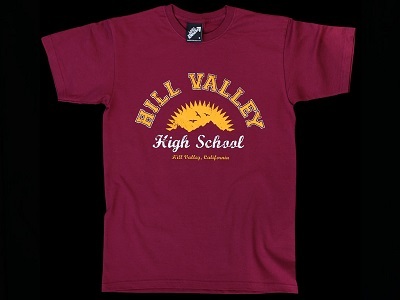 With Christmas on it's way, why not get a head start on your Christmas shopping! With a huge range of magazines available at great prices- a subscription can be the perfect gift this Christmas! From just £34.99 for an annual subscription. Famous for its unique perspective, unwavering insight into the good, the mad and the unmissable, heat magazine is the must-have magazine for anyone who's on the sharp edge of fashionable and leads the conversation on what's cool in the world. Treat her to something special this Christmas! With Christmas on it's way, why not get a head start on your Christmas shopping! She is always a pain to buy for, so why not get her something a little bit different? A magazine subscription can be a perfect choice this year, plus it's a gift that lasts all year! Grazia is Britain's first, weekly glossy magazine for women bringing you the latest fashion, news, views (and shoes!) every week. From just £15 for a print subscription. Famous for its unique perspective unwavering insight into the good, the mad and the unmissable, heat is the must-have magazine for anyone who's on the sharp edge of fashionable and leads the conversation on what's cool in the world. Just £30 every 6 months. Yours is the age friendly magazine that celebrates nostalgia and encourages women to make the most of all aspects of life. Just £13 every 6 months! Top Sante is modern, entertaining and always relevant to women's busy lives. Each issue is packed with information on- beauty, fitness, cutting edge medical advances, psychology, relationships, food and much more. From just £24 for an annual subscription. Treat him to something special this Christmas! With Christmas on it's way, why not get a head start on your Christmas shopping! He is always a pain to buy for, so why not get him something a little bit different? A magazine subscription can be a perfect choice this year, plus it's a gift that lasts all year! 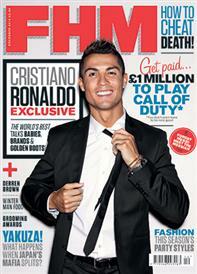 FHM is officially the best magazine on planet Earth and you can get it delivered to your door each month, hassle-free. Each issue brings you the finest features, useful man skills and the sexiest ladies. On top of this, it’s packed full of stories on fashion, food, football, and lots of other stuff that makes you feel great to be a man..
Just £28 for a whole year - thats 12 issues a year. Bike is the definitive guide to the motorcycling world. Every issue brings you the best stories from the best writers alongside stunning photography of epic trips, near and far. From just £32 for an annual subscription. Every subscription comes with a Nest Explorer 100L Bag worth £70. 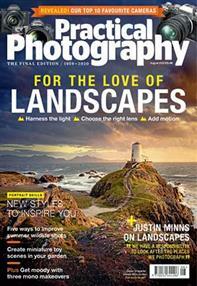 Practical Photography magazine is the perfect read for anyone wanting to get more from their Digital SLR. It teaches you all the camera skills you need, inspires creativity, and keeps you informed of the latest photo gear launches. It’s ideal for anyone who is passionate about taking better photographs..
A magazine subscription is the best gift to give this Christmas! With a wide range of titles available to suit everyone you are sure you find the perfect gift for that special someone! We turn over more than 3 times the orders at Christmas than any other time of year! Creative can be found in the Banner folders, there are numerous sizes, but if you need additional sizes please feel free to contact me directly. 1 WEEK FLASH SALE- MOTHER & BABY! Calling all mums! 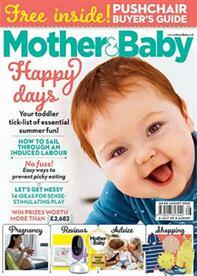 For 1 week only you can get 12 issues of Mother & Baby magazine from just £12! The UK's number 1 pregnancy and baby magazine! Be more 007 with Empire! In this bespoke collectors edition of Empire we have an exclusive on the new bond film Spectre- the issue has also been guest edited by Sam Mendes! Please feel free to contact me directly for any further information, creatives, gift images etc. Subscribe to Grazia from just £5 a month and receive a gift worth £44! - Choose the print + digital package and save 66% off the cover price! Subscribe to the new and improved heat magazine! Subscribe today and get your first 12 issues for just £12! - 3 mags in 1! - Choose it in print, digital or both- all from just £12! 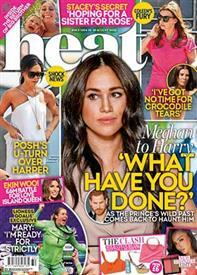 heat magazine has had a makeover!! The Famous brings you everything you've always loved about heat and much much more: the biggest celebrity stories and talking points of the week, plus the maddest stories from the outside world. Personal Shopper is our glam new style and beauty section, devoted to tracking the trends before they hit the high street or online. Our new entertainment powerhouse. The Playlist guides you through everything you need to know about the week's TV, film, music, food, books and stuff to do. Whether you're staying in or going out. All of this can be yours from just £13.49! Subscribe and not only will you never miss an issue but you will also receive a goody bag worth £75!